While ending up in the winner's circle is ultimate goal for Thoroughbred owners, one partnership tries just as hard to find homes for former charges once their racing days are over. Ten Strike Racing—which is run by Marshall Gramm and Clay Sanders, plus 25 other partners—campaigns graded stakes placed Allied Air Raid and already counts more than 80 wins since officially combining operations under the Ten Strike umbrella in early 2016. The group strives to find good homes for their retired runners and hopes to set an example for other owners. "We love to win races, but we love to make sure these horses are cared for when they are done (racing)," said Liz Crow, stable manager for Ten Strike Racing. 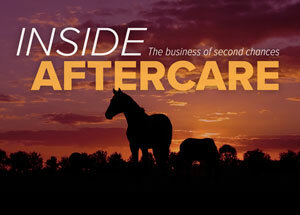 "We do make sure it is known (to the partners) that aftercare is very important to us, and that these horses will find a home, one way or another, when they are done racing," she said. Since the outfit mostly runs claiming horses, with approximately 25-30 running at one time, Crow said tracking their runners is key to make sure they end up in good homes when they retire. Tracking claiming horses can be difficult, but the group makes an effort that has already paid off for one horse. A 4-year-old gelding named I'mdrinkingdoubles was quickly claimed off of Ten Strike after running at Oaklawn Park and was shipped to Emerald Downs. Since Crow kept tabs on him and noticed he was vanned off the track in his last start, she made some calls to see what could be done to get the horse retired. "I called the trainer and owner and asked if I could help him retire the horse," she said. "(The trainer) was blown away that I would be calling him for that, and was really nice about it. We ended up retiring him out in California and donated money to get him retired. He was so blown away that someone cared enough to call him." Also knowing that she could turn to the Thoroughbred Aftercare Alliance (TAA) when looking for a legitimate retirement facility on the West Coast was another key for Crow. "A lot of times these horses retire up at New York, or Parx, or California, and you don't want to ship them all the way across the country to a facility, so what's nice about the TAA is you can call them up and say, 'I have a horse in Texas, or California, do you have an accredited farm nearby that we could use?' And (the TAA) gave me five options, and one of the farms had a spot." To show their appreciation for the TAA's efforts, Ten Strike recently helped raise awareness through the sponsorship of a race at Oaklawn Feb. 20 and a check presentation. The group hopes they caught the attention of other racing owners to encourage them to think about aftercare. "I explained (how the TAA helped retire I'mdrinkingdoubles) to Clay and Marshall and they said, 'We should really do something at Oaklawn that helps show that we're a big organization (and) we care about aftercare.' So we did a big presentation with the hopes that maybe a few owners at the races that day would see it and think (about it)." 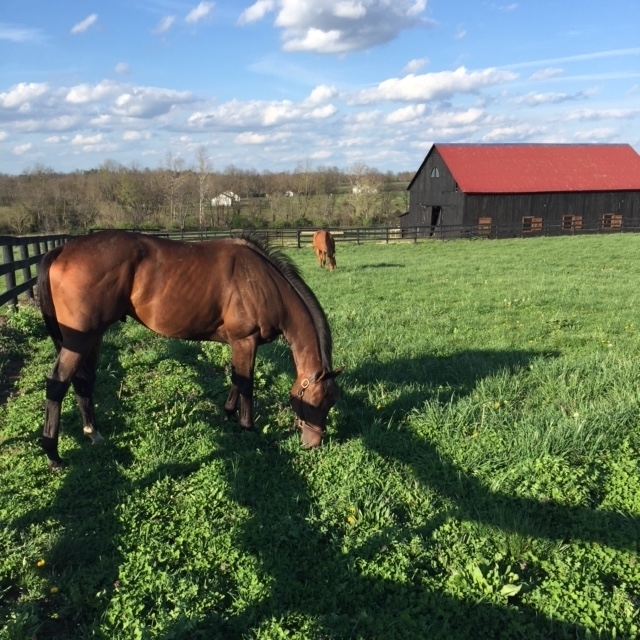 While the group hasn't been officially incorporated long enough to have too many of their horses in second careers yet, knowing that their horses are well cared for off the track is satisfaction enough. "The reason that we're in this game is because we love horses," Crow said. "They're such amazing animals and without them we don't have anything. "I think that it's so important to make sure that we treat them well and make sure they have retirement homes. I think it's something that our industry is getting better about, but we still have a long way to go."